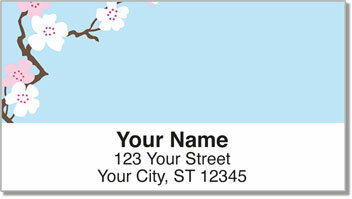 Add a personal touch to your outgoing mail with these pretty Sakura Print Address Labels from CheckAdvantage. 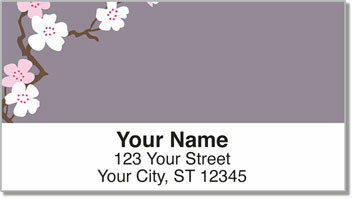 This simple design features a drawing of delicate cherry blossoms spanning the top left corner of the color field, which rotates in four complementary pastels: soft mauve, classic baby blue, pale yellow and steel gray. 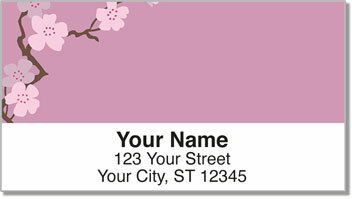 These elegant personalized labels are self-adhesive and super handy. You can use them to identify lots of items besides envelopes and packages. For example, next time you loan out a book or video, label it with one of these, first. That way the borrower will know exactly where to return your stuff. 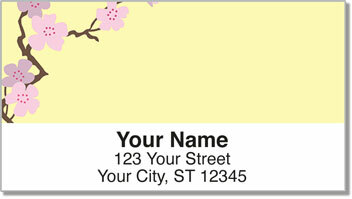 Order your Sakura Print Address Labels and Matching Sakura Print Personal Checks today!